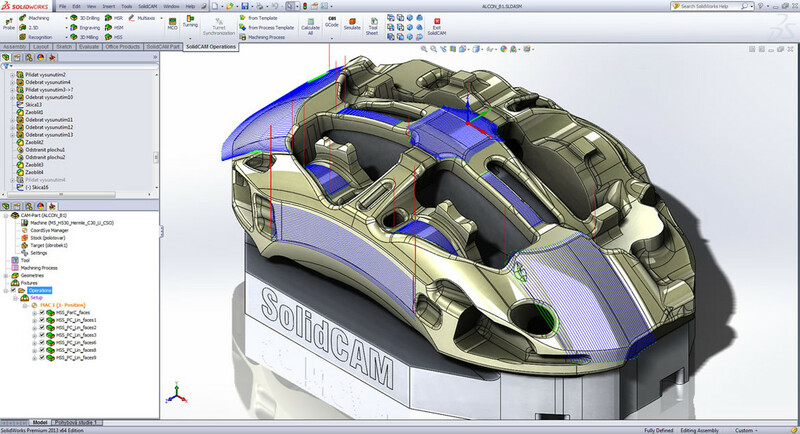 SolidCAM provides powerful strategies to machine undercuts in a model. Slot Milling tool, Lollipop tool and Dovetail cutters are supported in machining undercuts. Complete gouge protection of the cutting area, leads, links, arbor and holder creates safe and efficient tool paths to machine undercut areas. SolidCAM's HSS provides smooth and powerful machining of localized surface areas and undercuts, using standard as well as shaped tools. HSS provides easy selection of surfaces to be machined, without the need to define boundaries. HSS provides significantly increased surface quality. 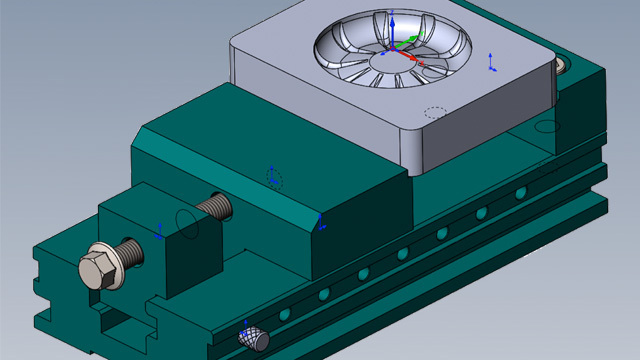 HSS is an essential module for every machine shop to machine all types of parts. 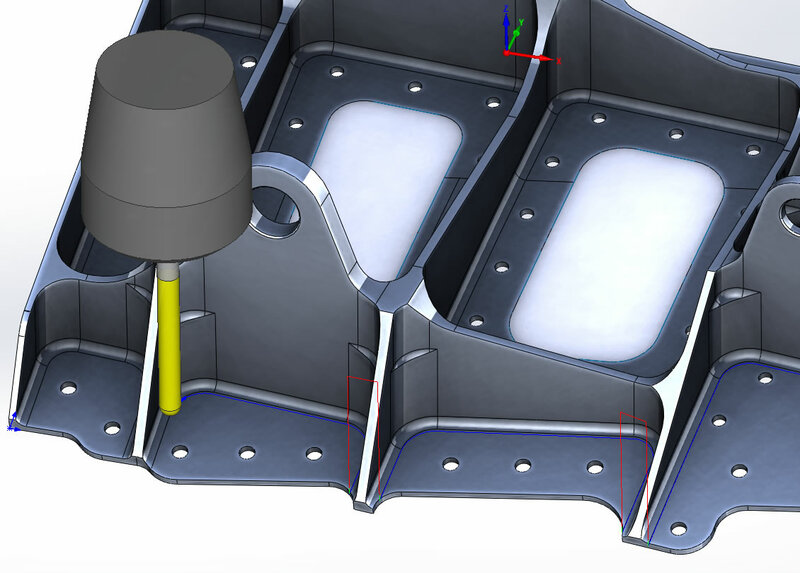 HSS takes your 2.5D machining way beyond profiles, pockets and faces, providing a 3D machining capability by driving along specific surfaces on prismatic and 3D parts. 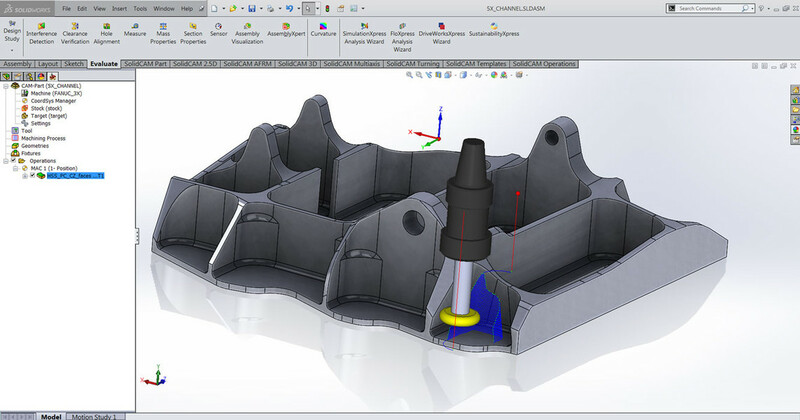 The HSS tool path works on single and multiple surfaces, creating a flowing tool path on a group of surfaces that make up a complex 3D radius (e.g. fillets). Total tool control eliminates the need for constraint boundaries or time wasting construction geometry. 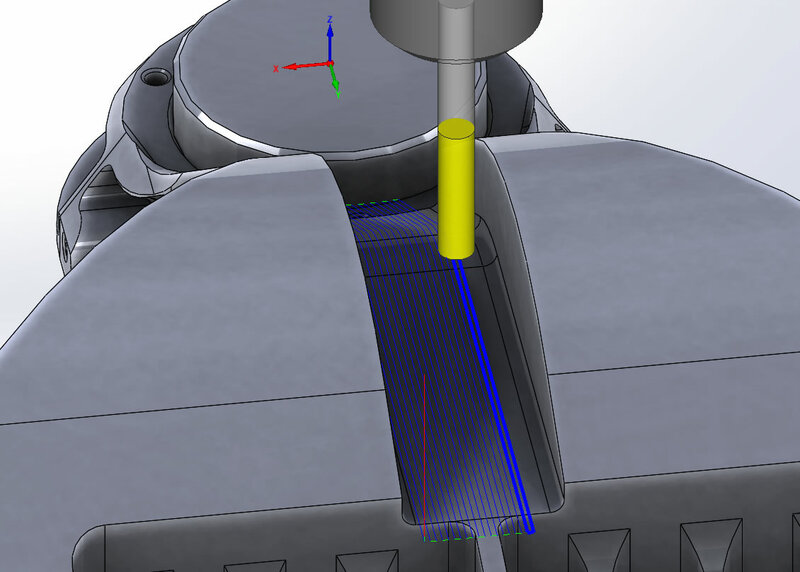 Use Tapered, Lollipop, or T-Slot tools for undercuts or difficult to cut geometry, all in one module. HSS provides numerous surface machining strategies, that produce an efficient, smooth, gouge-free and optimal toolpath to finish the selected surfaces. HSS provides special tool path linking strategies, generating smooth and tangential lead-ins and lead-outs. 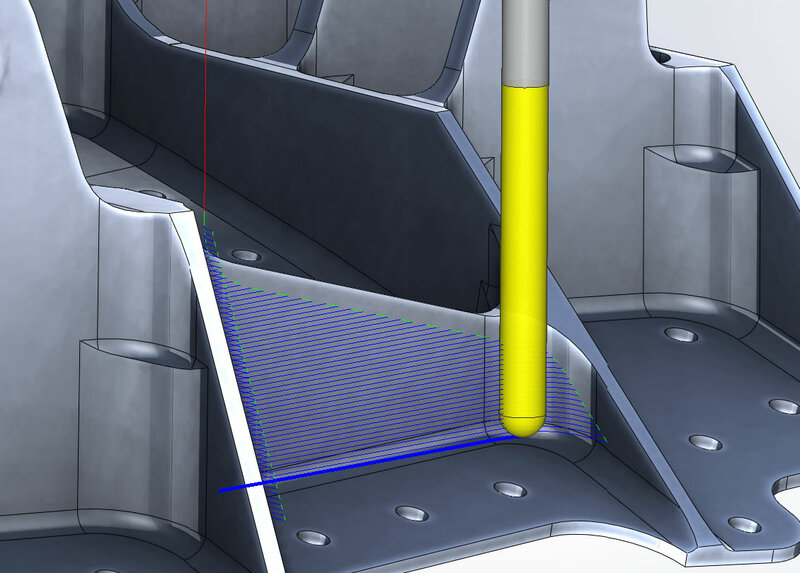 The linking moves between the tool paths can be controlled by the user to avoid holes and slots, without the need to modify the model’s surface. Retracts can move along any major plane. Complete Gouge Control is available for Holder, Arbor and Tool. Multiple Adjoining Check Surfaces may be selected to create avoidance areas. Several retract strategies are available. 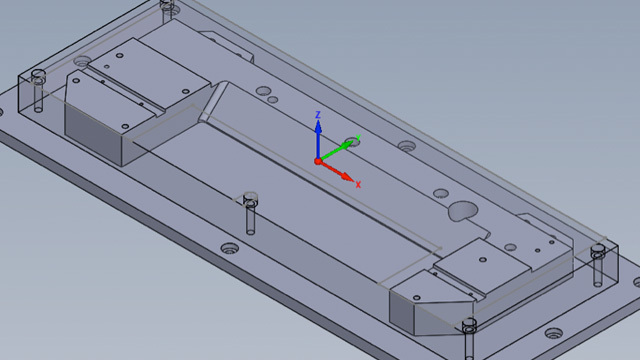 The Parallel Cuts option contains 3 strategies to provide tool paths with parallel lines and constant stepover, including: Linear, Hatch (for sloping upward surfaces) and Constant Z (for steep surfaces). 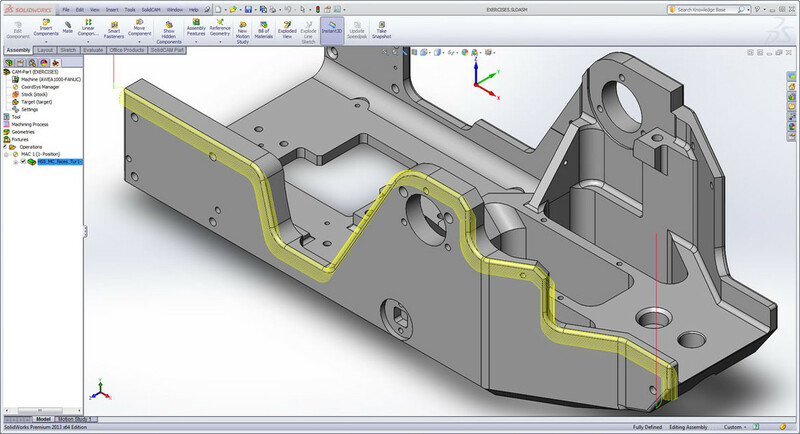 Parallel to Curve drives the tool path by using selected surface(s), and each tool path cut follows the surface to stay parallel to a selected curve with optimal scallop. Parallel to Surface calculates the intersection of selected surfaces, and generates tool path cuts that are parallel to the resulting intersection curve. Opposite of the Parallel to Curve strategy, this option generates cuts perpendicular to Drive Curve. Morph between Curves creates a tool path seamlessly adapted to two selected Drive Curves while providing a constant load on a tool. 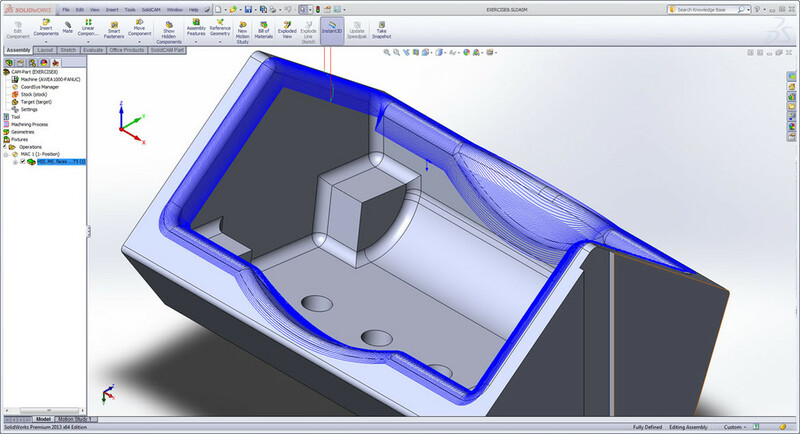 Similar to Parallel to Curve, Morph between Surfaces provides a smooth tool path between two Drive Surfaces, perfect for complex boundaries of machining surfaces. 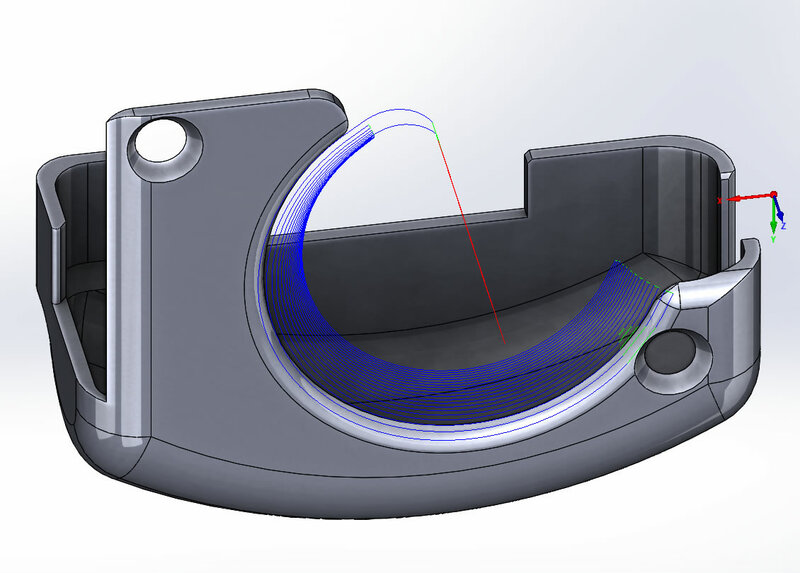 Perfect for the machining of internal fillets, chamfers and engraving on 3D surfaces, Projection defines a curve using a selected surface to provide a smooth, single line tool path. Users have 4 stages of gouge protections for complete control over tool path protection, similar to our Sim. 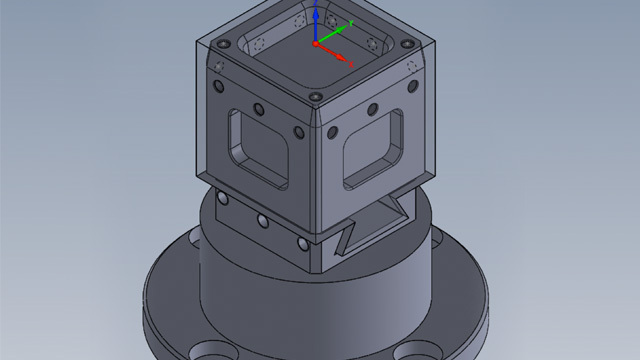 5-axis module. With 9 different lead-in/lead-out options, Advanced Linking provides total control of tool entry and tool exit motion without surface modifications. 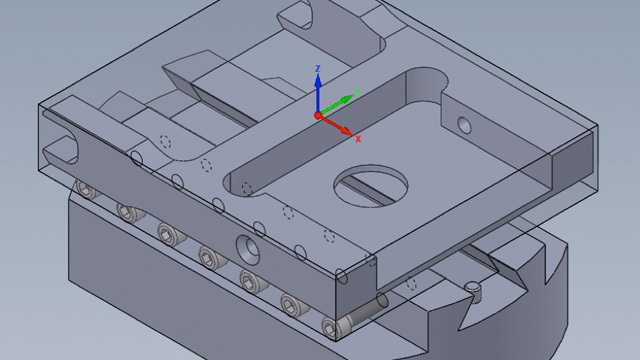 Tool paths can be extended or trimmed, while gaps and holes can be avoided. 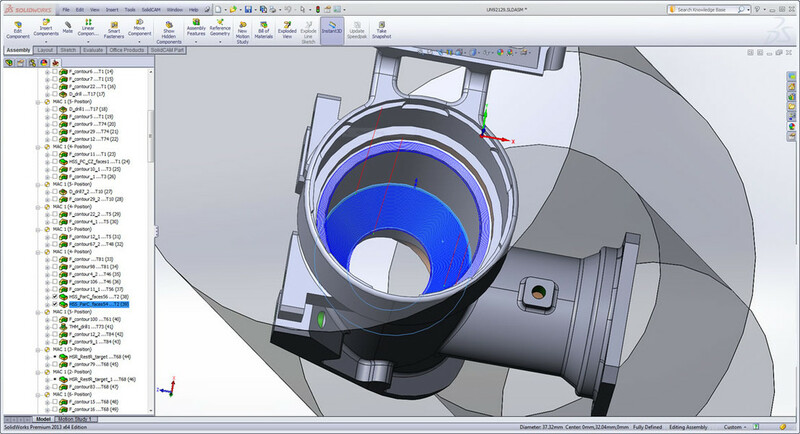 This demonstrates using HSS for finish operations. The roughing was done with HSR, while Profile, Pocket, Transform/Rotate options were also used. 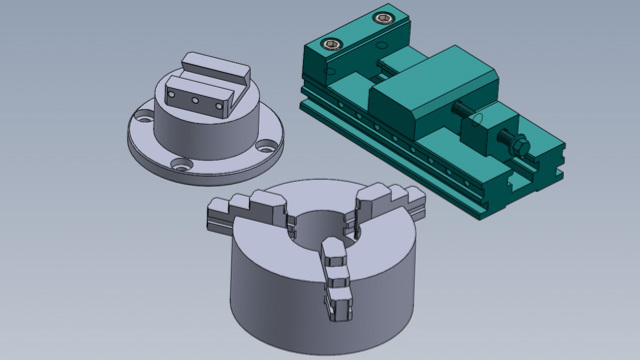 The link below includes the part with the fixture, posts and machine type for Machine Simulation. This demonstrates using HSS to finish hard to machine fillets, as well as chamfer and concave walls. HSR is used for the roughing of the part, while Pocket, Profile, Face Mill, Drill and Thread Mill are also used. 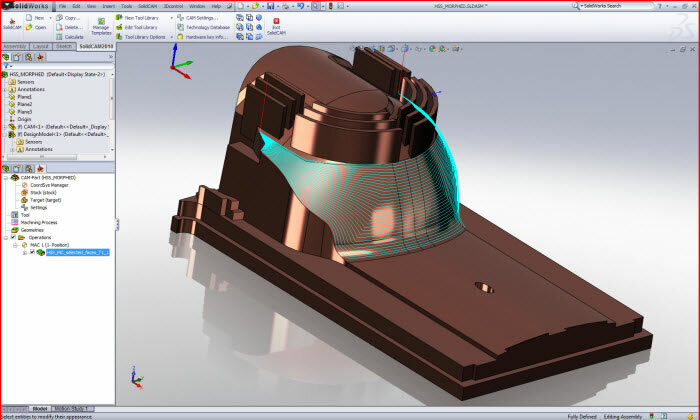 The link below includes the part with the fixture, posts and machine type for Machine Simulation. 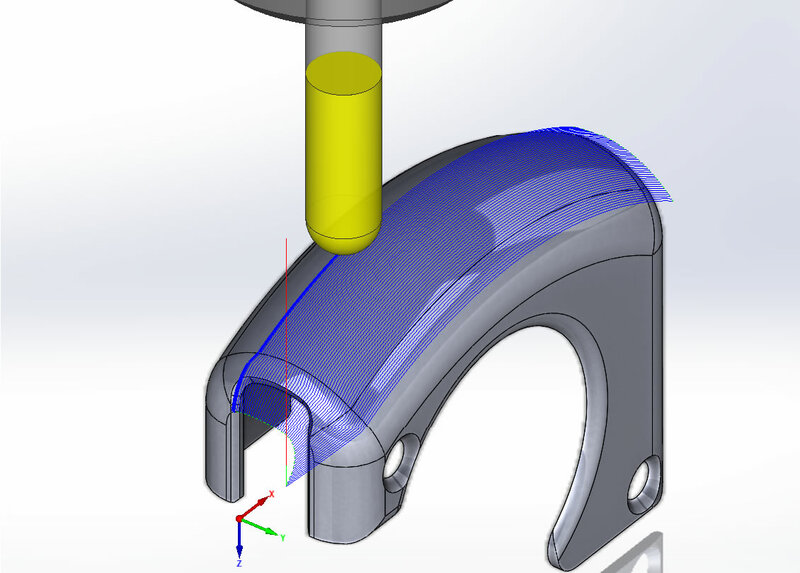 This demonstrates using HSS to help finish a part that was machined in most areas using 2.5D. The part is mounted on a fixture plate with screws, and operations used are iMachining, Profile, Drill and HSS. The link below includes the part with the fixture, posts and machine type for Machine Simulation. 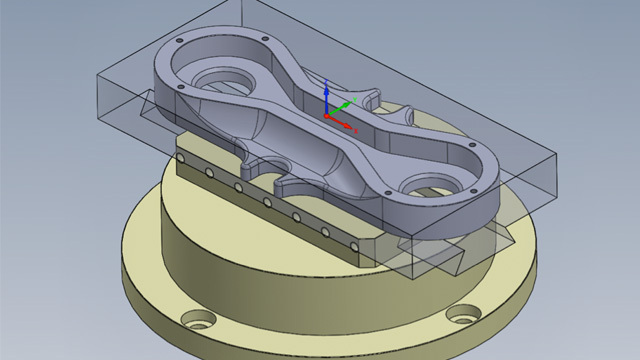 This demonstrates the use of a multi-axis machining center with iMachining and HSS for finishing. A profile operation with clear offset is also shown. 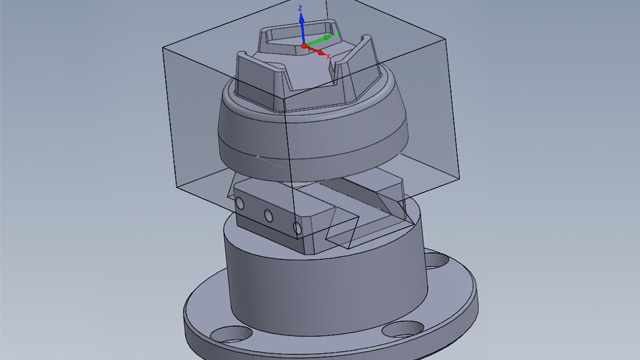 The stock is a 3D model held with a multi-axis fixture, and the operations include: Face, Profile, iMachining 2D, HSS, Drill and Chamfering. The link below includes the part with the fixture, posts and machine type for Machine Simulation. This demonstrates using iMachining, HSS, Toolbox and Drill Recognition for all drilled holes. 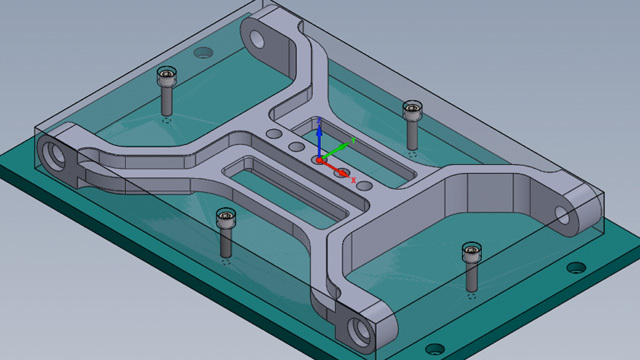 The stock is a 3D model mounted on a fixture plate with screws, and operations include Face Milling, iMachining 2D, Pocket, Toolbox, Profile, Drill Recognition, HSS & Chamfering. The link below includes the part with the fixture, posts and machine type for Machine Simulation. 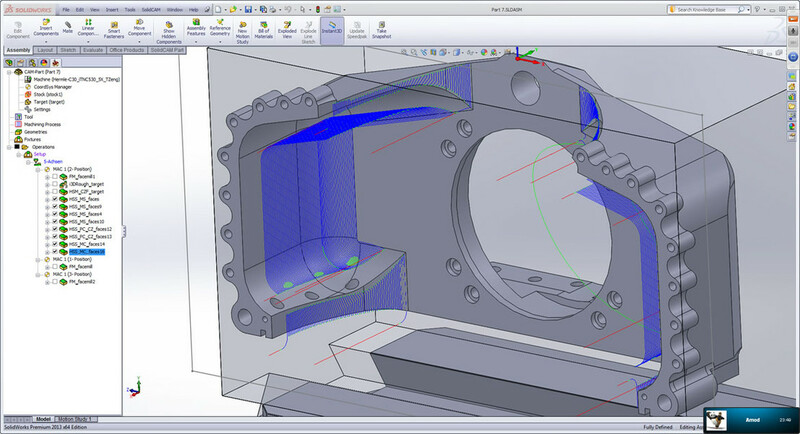 This demonstrates the use of Transform to help save programming time on a part with many symmetric geometries, including areas for HSS finishing. The stock is a 3D model mounted on a 5-axis milling fixture, and operations include Face Mill, Profile, Pocket, Drill & Chamfering with Transform being used throughout. The link below includes the part with the fixture, posts and machine type for Machine Simulation. 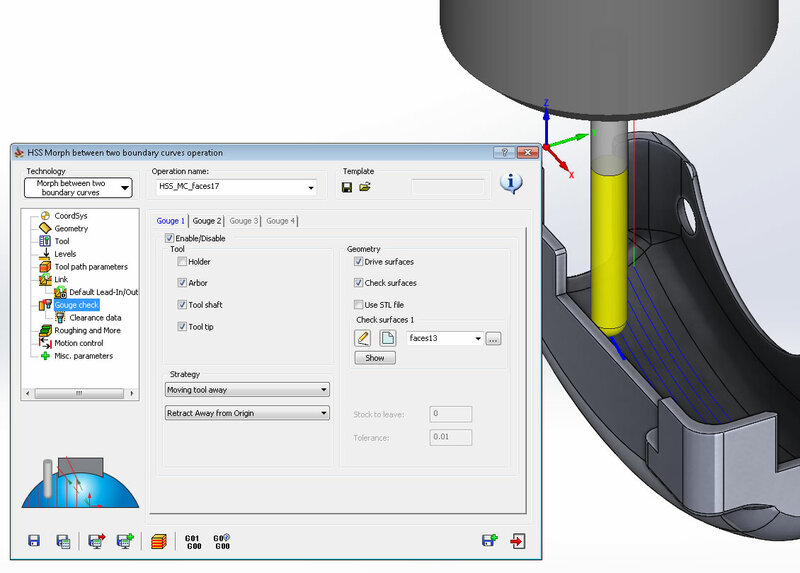 This link contains several holding fixtures and vices used for the most realistic simulations possible. This demonstrates using different types of HSS Strategies for various surface shapes. 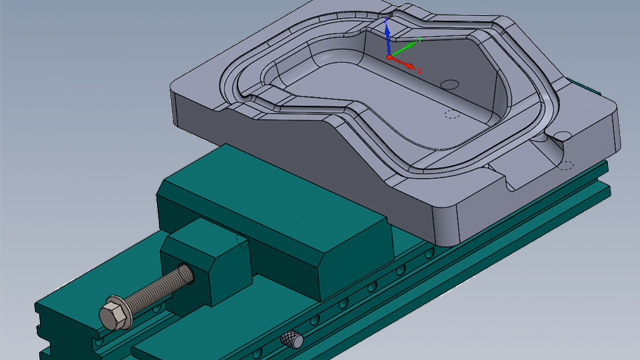 The 3D model is a mold mounted on machine vise. The link below includes the part with the fixture. This demonstrates using HSS Constant Z Strategies for two internal surface shapes. 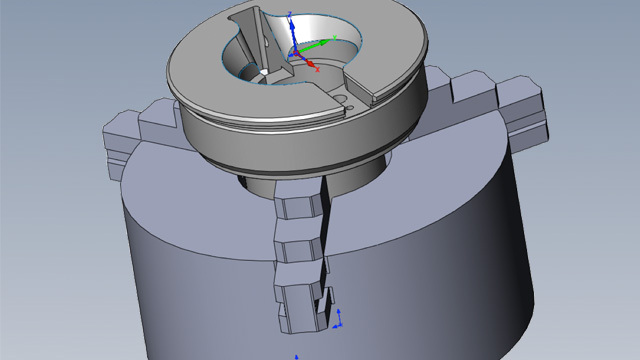 The part is a 3D model mounted in a machine chuck. The link below includes the part with the fixture. 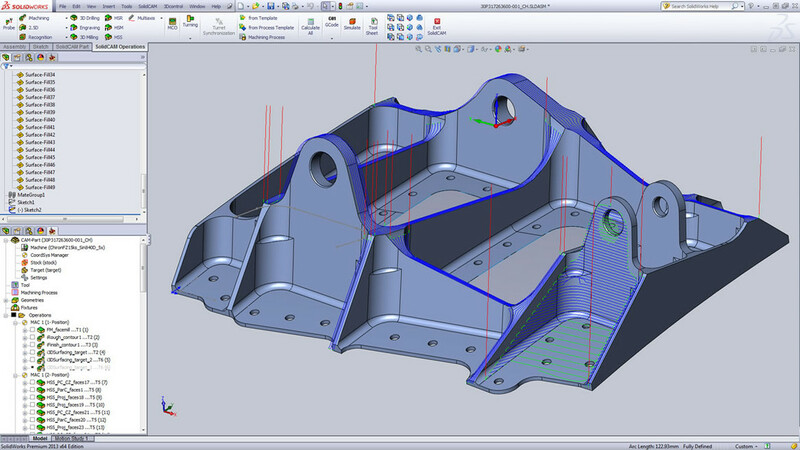 This demonstrates using HSS Morph Between Curves strategy for several internal surface shapes. 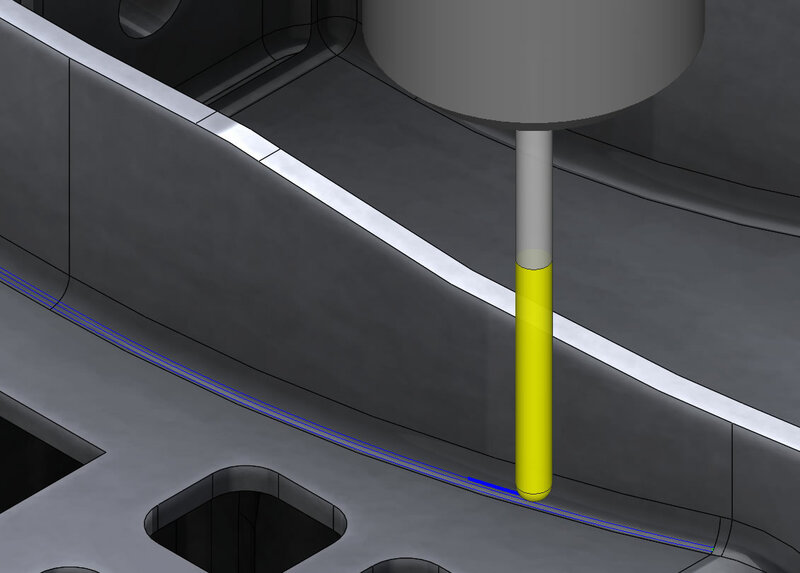 A Lollipop Tool is used for an undercut, and the Rotate option is also used on the surfaces that are rotated around the center of the part. 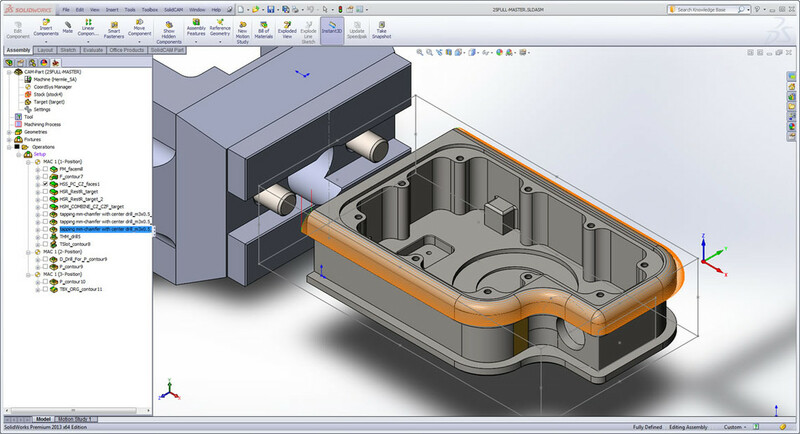 The mold is a 3D model mounted in a machine vice. The link below includes the part and fixture.